Thought I'd throw together a little guide for know rep clasp/bracelet codes. Can't find anything like this on the forums. Hopefully will be of use to some. MA11 - Yuki - stamped 93250 - Bracelet stamped 93250 - Endlinks stamped 448b. Z10? - JKF/Cartel - stamped 76753? - Bracelet stamped 93150 - Endlinks stamped 580. EO6 - JF - stamped 93250 - SEL engraved EO 93250. EO6 - TC V1 - stamped 93250 - SEL engraved EO 93250. DE6 - TC V2/WM9 - stamped 93250 - SEL engraved EO 93250. PJ4 - TC V5 - stamped 93250 - No engraving to SEL. PJ4 - TC V6 - stamped 93250 - ?? ?? - TC V7 - stamped 93250 - ?? DE6 - BP - stamped 93250. CL1 - Sean - stamped 93250 - ?? OP10 - BP - stamped 93160A - SEL engraved ?? CL1 - MBW - stamped 93250 - Bracelet stamped 93250. OP10 - BP - stamped 93160A - Bracelet not stamped. PJ3 - Noob V1 2014/BP/Regmariner - SEL engraved ?? PJ3 - JF V1 - SEL engraved ?? PJ3 - BP - SEL engraved ?? PJ3 - Regmariner - SEL engraved ?? 6YZ - BP V2/GM Factory - SEL engraved ?? C4R - Noob - SEL engraved ?? 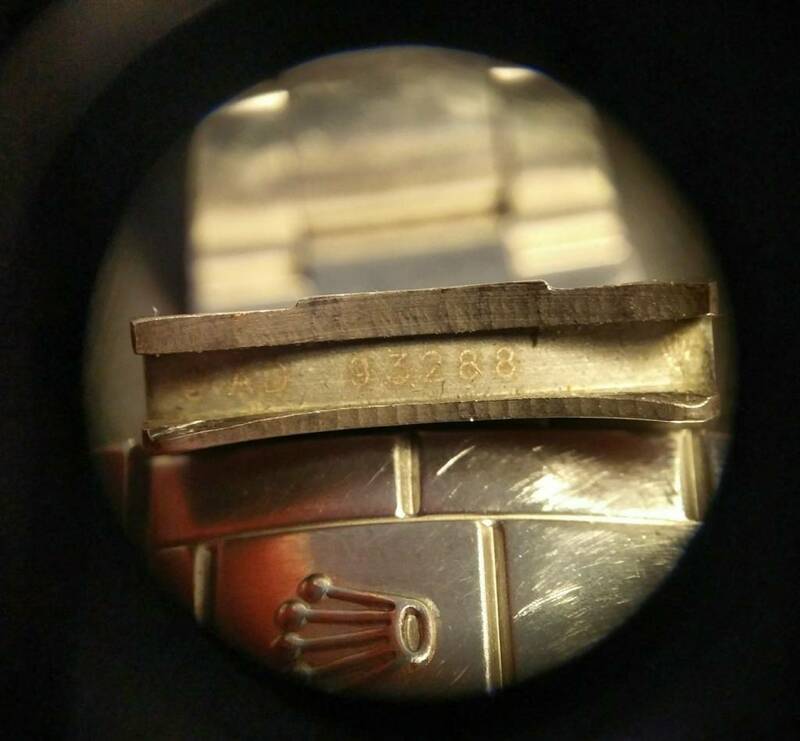 5NF - Noob V7 - SEL engraved ?? 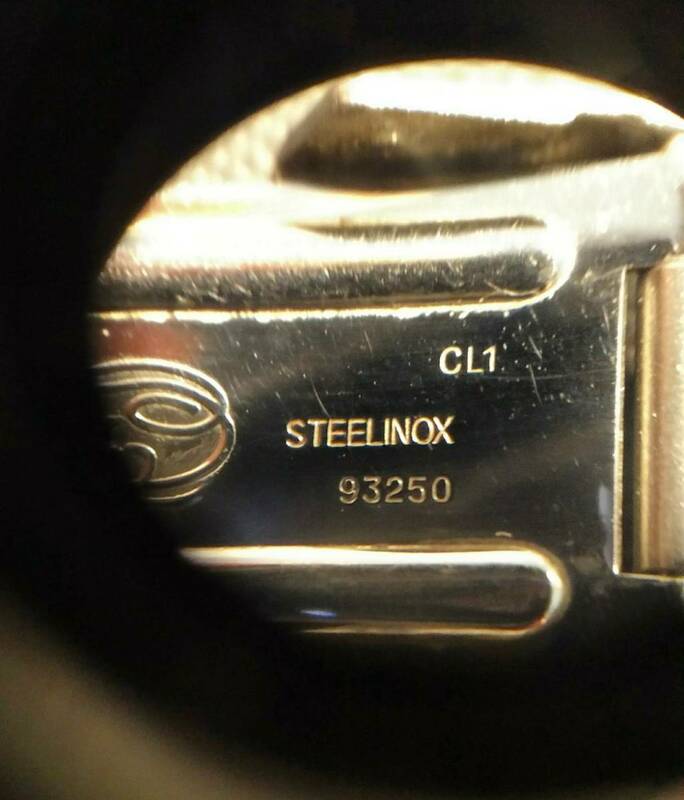 71H - Noob CHS - SEL engraved ?? Y8C - JF v2 - SEL engraved ?? PJ1 - BP - SEL engraved ?? 6YZ - VRF - SEL engraved ?? 5NF - Noob - SEL engraved ?? X0P - JF 7750 - SEL engraved ?? Y8C - JF v1- SEL engraved ?? X0P - JF - SEL engraved ?? 7GT - BP v2 - SEL engraved ?? Z1H - Noob 4130 clone - SEL engraved ?? CL5 - BP - Clasp engraved 72200 - SEL engraved ?? 3NY - BP - SEL engraved ?? If anyone could fill in the blanks ?? I'd be very grateful. If anythings wrong or missing please feel free to add. Last edited by bill33; 04-04-18, 16:48. Noob Daytona 116520 4130 clone. Very nice post mate I've been working on something similar but you nailed it! Yep, I've read somewhere here that PJ1 was also in use for the early BPs, old times I guess, so most important is to remember that cheapo bracelets usually are stamped "0P8"
Thanks @smoke will fix when I'm home from work. Great thanks for the info! Any chance you can pop off the bracelet and tell me the SEL code? @marqtz thanks mate much appreciated!